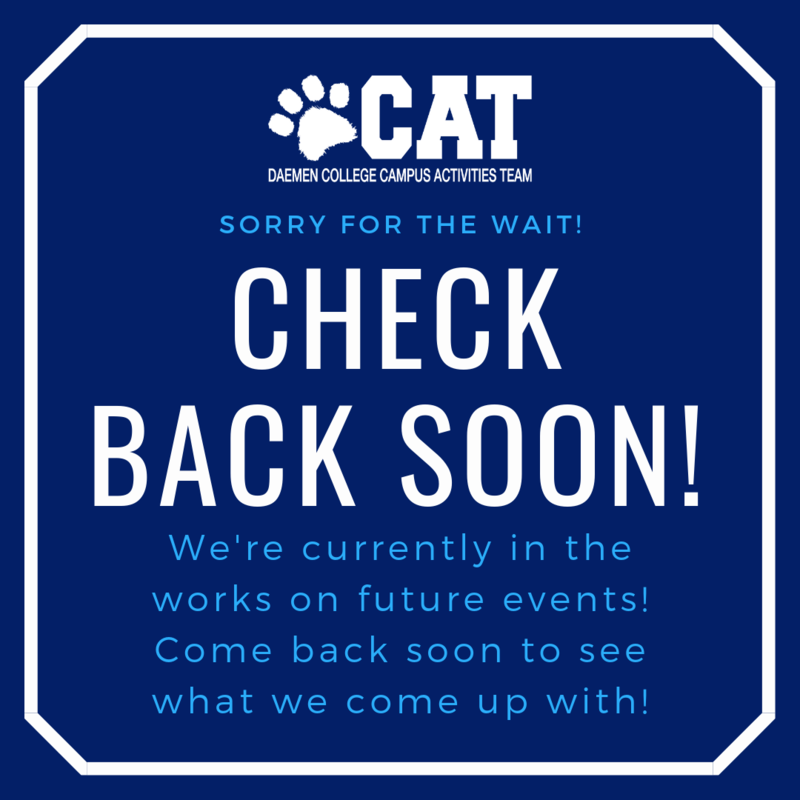 Welcome to the Campus Activities Team (CAT) webpage! Have an idea for an event? Didn't catch us at a CAT Forum? Want to collaborate with CAT on an event? Let us know! You can fill out the following form and let us know your idea, any time! Interested in becoming a CAT Volunteer? You've come to the right place! In order to count as a Volunteer we need you to fill out this form. Make sure you make it to the next interest meeting to learn more about CAT and how being a CAT Volunteer works! Be enthusiastic and driven to produce student focused programming to meet the needs of Daemen's diverse student body. Have knowledge of Daemen College and the activities and services that are available to students. Must have been an admitted student at Daemen College for at least on full-time semester. Must be enrolled full time for the academic year you're applying for. Must have and maintain a minimum of 2.5 GPA. Must be a member of the Daemen community in good standing and not be on disciplinary or academic probation. Must be available to participate in ALL training sessions and planning retreats and work collectively as part of a team.